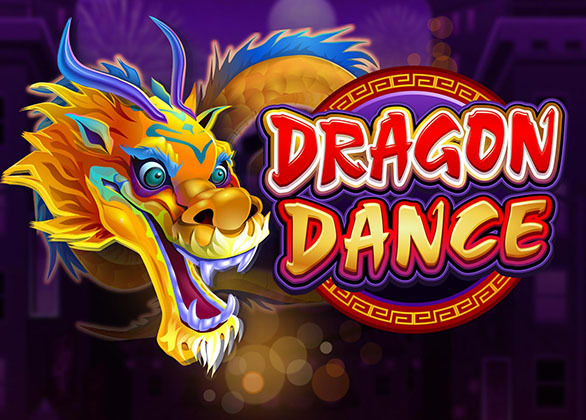 Microgaming Systems presents Dragon Dance Slot – a 5 reel, 243 ways to win game. This highly entertaining slot game comes themed after the Chinese New Year. Symbols found on this colourful game are a dragon, man hitting a drum, girl with cymbals and the head of a dragon figure – usually used in the traditional dragon dance. Further symbols available are the regular card symbols such as 9, 10, J, Q, K and A. Stakes that players’ can choose on this game are £0.25 to £125. They can make use of the given minus and plus buttons to make their selection. The 243 ways to win is active all throughout the game. Auto-Play is at hand, where up to 500 games to spin can be selected. The majestic dragon pictures the wild symbol on Dragon Dance Slot. When showing up anywhere on the reels, this wild will substitutes for all symbols apart for the scatter symbol. At the end of each spin, players’ will find the Re-Spin feature. This will give them the opportunity to spin a reel of their choice as many times as they like for a chance of hitting a winning combination. The fee of spinning 1 reel at a time will be in favours to the flexible stake. The scatter symbol is pictured by the Firecrackers symbol. When 3 such symbols show up anywhere on the reels, players seize 15 initial free spins. All wins awarded in the free spins are thrice the normal pay. Additional free spins may be won!